This was our first year attending the Discovery Science Center Pumpkin Launch at Cal State Fullerton. The entire family-fun event is free to the public every year, and this year they hit record breaking numbers with the attendance. When we first arrived at the Pumpkin Launch, there was a line of food trucks ready to help feed hungry kiddos. All of our favorites were there including the Lime Truck and Barcelona on the Go. 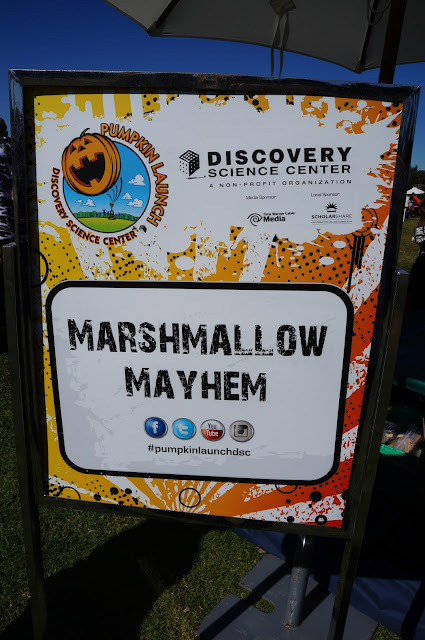 There were a multitude of activities for kids to participate in, but my kids favorite was the marshmallow mayhem. 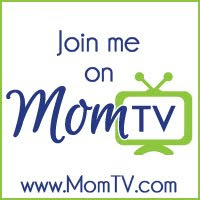 My kids love marshmallows, and one of their favorite toys at home are their handmade marshmallow shooters. 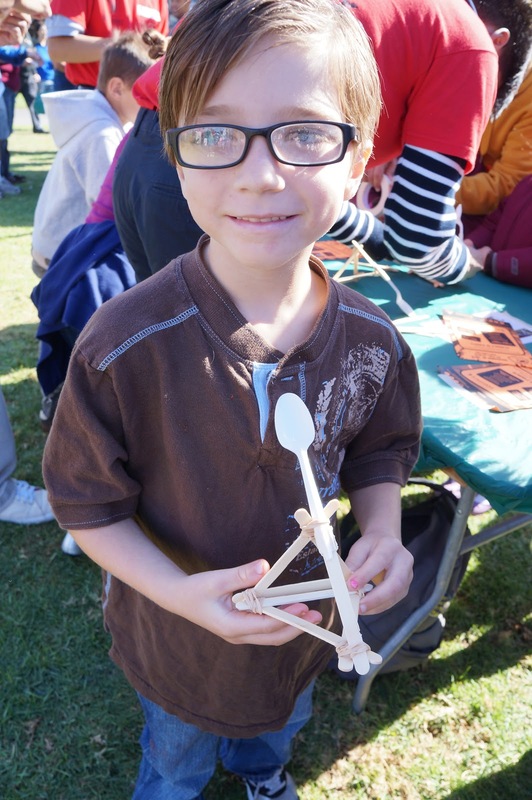 Volunteers helped my kids to make the ultimate catapult for their marshmallows. Even my five-year-old was able to make the catapult before competing to see who could shoot the farthest. The kids played for almost an hour, before jumping on the giant bounce house slide. Then it was time for the highlight of the event - the pumpkin launch. Teams competed with their handmade catapults to see who could have the most high flying pumpkin. The kids cheered and screamed for their favorite teams during this exhilarating presentation. We can't wait until next year, but in the meantime my children will continue to nourish their love for science at the Discovery Science Center. That looks very fun! 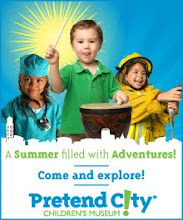 It's great that so many places are tying in fun activities with interactive learning for kids.